Serious enquiries only. 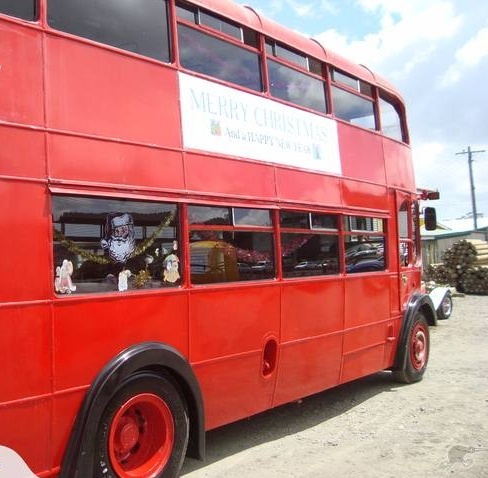 The owners of vehicles on this page would be interested in selling their buses to new owners who will be able to look after them. Do you have the resources to look after it? Restoration demands money and time commitments and can take a long period. Mechanical parts may be difficult to obtain except buying from the UK. Will you be able to drive it? Remember the cab is on the right hand side of the bus. The steering is very heavy and there are no luxuries! The maximum speed is 35mph. Does your driving licence and/or skills allow you to drive a bus? How will you move it to its new home? It may not be as simple as starting up the bus and driving there. Towing and shipping are expensive. Where will you drive it in future? You will need to arrange an unusual insurance policy. In the US and Canada, many bridges are too low to pass, even on main highways. All structural components in the body are steel rather than wood. Bought an RLH? Please see the Further Information for Owners page!